Email Me More Than Once Per Day? Unsubscribe! I can’t tell you how much I love this post. 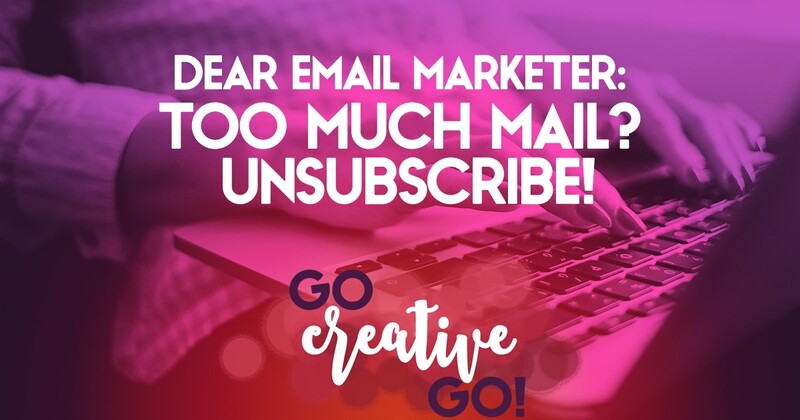 It seems to be the time of year that marketers and entrepreneurs are selling, as I seem to be getting a whole load of email campaigns that basically say the same thing – buy my product. I’m happy to stay subscribed if there’s value in these emails, but as soon as there’s not, I’m outta there! Lizzie, I’m in complete agreement. Of course we all run our business with the hopes of selling our products or services. It’s a business, after all! But there’s a better, smarter, more social way to go about it. I’m more than willing to kick you to the curb when you take advantage of my inbox! Love it, Hailey. A crusade against inbox tyranny. I might just need to “borrow” that phrase for future tweets – giving you credit, of course! Frequency can be one of the many failings we face as digital marketers. In my mind it’s always better to start slow and build, rather than burn any bridges with overenthusiastic sends and inbox imbroglios! You’re A Business Owner AND A Human Being … Solopreneur Smarts: Find Someone Who Will Dish It Out!